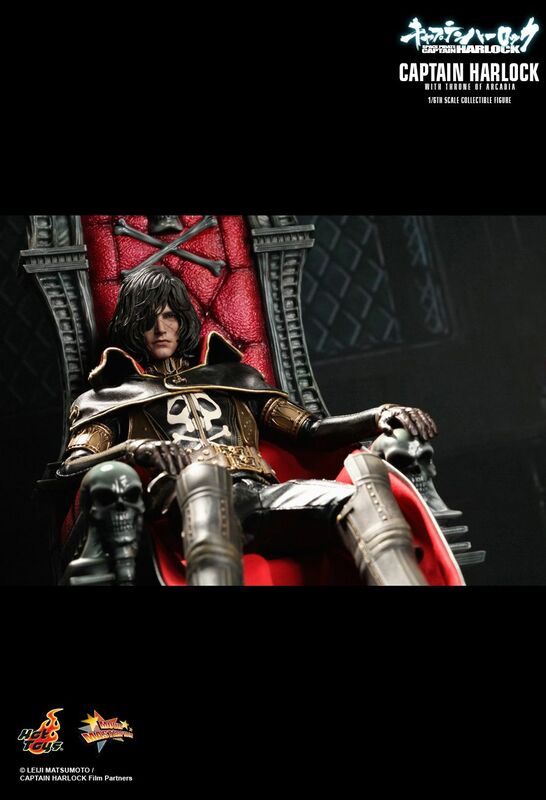 Space Pirate Captain Harlock was a classic manga comics created by the legendary Leiji Matsumoto in the 1970s. 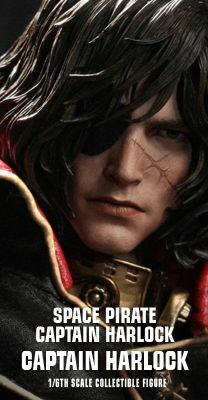 The story follows Harlock, an outcast, who has turned into a Space Pirate and led a crew aboard his starship Arcadia to rebel against Earth's oppressors. 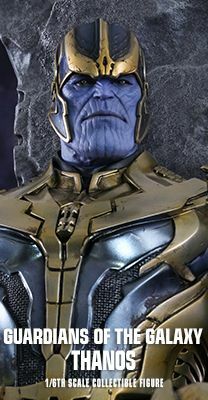 Its popularity has led to the creation of an animation series in the 1980s, and this year the story has been remade as an epic CG film and hit theatres last month in Japan. 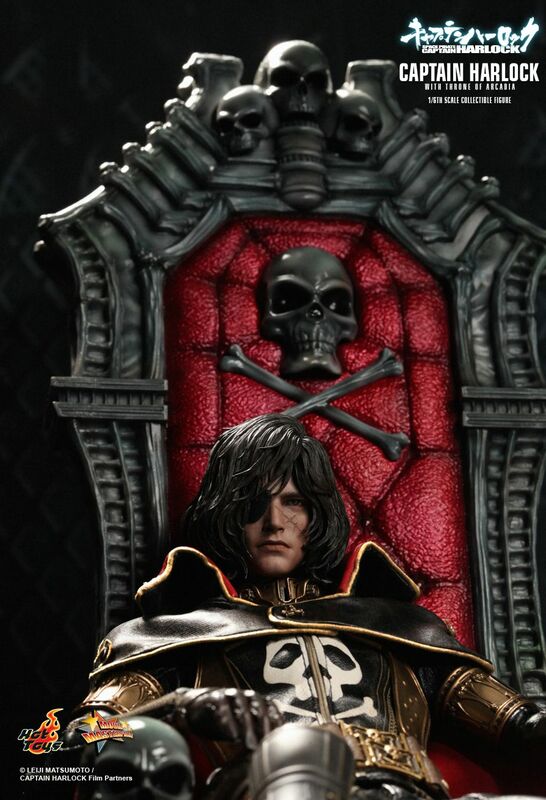 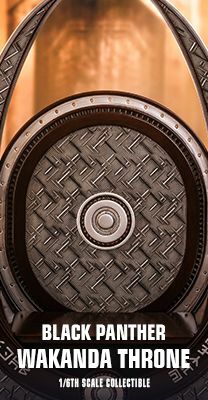 Hot Toys is excited to present the new 1/6th scale Captain Harlock Collectible Figure with his majestic Throne of Arcadia from the Space Pirate Captain Harlock CG movie. 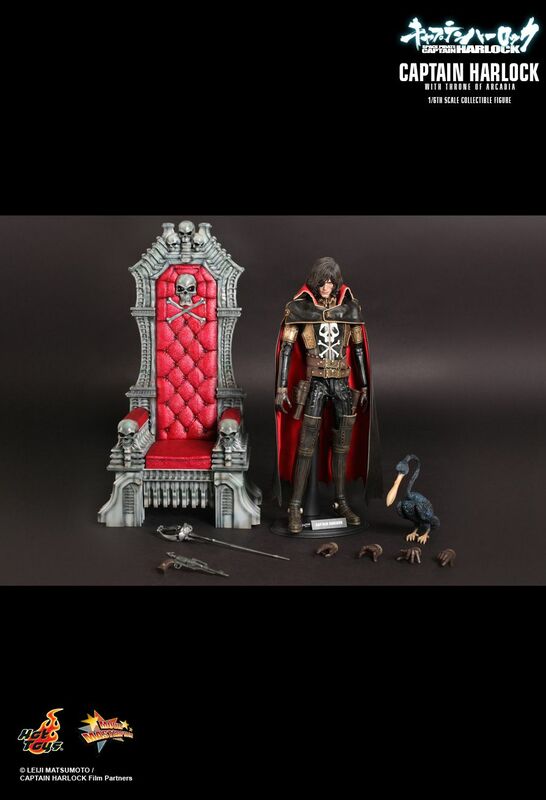 The movie-accurate collectible is finely crafted features a newly developed head sculpt, stylish costume, a meticulously sculpted Throne of Arcadia, weapons and Captain Harlock’s avian friend – Mr. Bird. 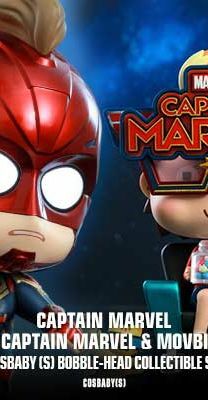 The story sets in the future, where humanity has achieved a vast starfaring civilization, but is slowly and steadily succumbing to despair, often due to defeat and subjugation by a foreign invader. 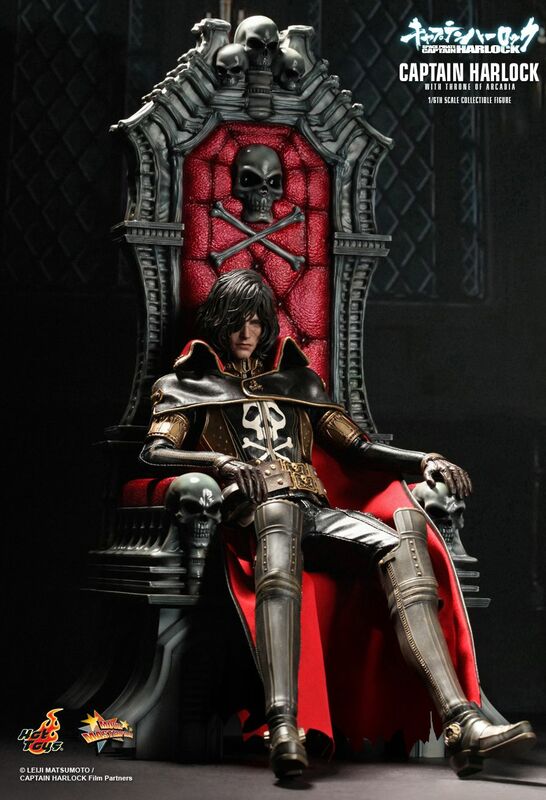 Rising against the general apathy, Harlock denies defeat and leads an outlaw crew aboard his starship Arcadia to undertake daring raids against Earth's oppressors.